Casinos have every type of surveillance pointed on the gamblers within their walls, but for the first time ever, technologies like Google Glass are giving these same gamblers a way to put a camera on the house. Casinos are not taking too kindly to the idea, but looking to the long term, do they even have a choice? In case you missed it, earlier this month Caesar’s Palace would start a trend that would cause a few other casinos to follow suit: they banned Google Glasses from its premises. For the casinos, the use of a “Google Glass-like” device falls under the existing rules prohibiting recording devices and computers. 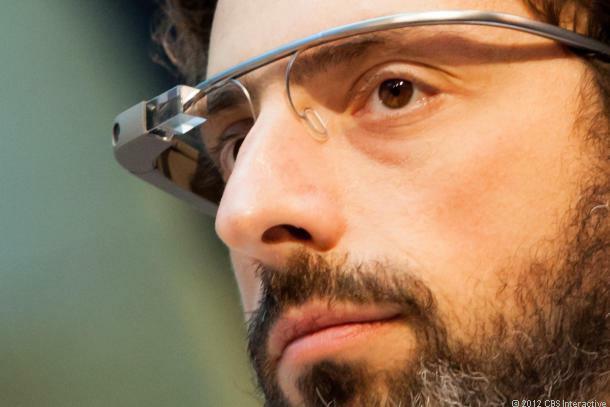 “Individuals wearing Google Glass would not be allowed to gamble. If they attempted to do so, [they] would be subject to arrest under various state gaming regulations,” Caesars Palace spokesman Gary Thomson has responded recently to the media. In the gaming floor of culture and communication, Google is the company that employs all the pit bosses. You don’t really compete with Google so much as play their game, much the same way that one would at a casino. Google is a behemoth of a company, representing somewhere in the range of nine-to-ten percent of all internet traffic. If it were an ISP (internet service provider), Google would be the fastest growing and biggest ISP on the planet. This is crazy because Google’s backbone does not deliver traffic on behalf of millions of subscribers nor thousands of regional networks and large enterprises; Google’s infrastructure supports Google. In other words, they are not a company to be messed with. Not only is Google ubiquitous, they are an innovative company that thinks in decades when everyone else is thinking in months and quarters. So the question really is as follows: is there anything that anyone can do to stop not only Google, but the technological wave that they are the Moon’s gravity to? Casinos on the Strip and elsewhere may have successfully blocked the first jab from Google and leading tech companies, but it is important to note that Google Glass is really just a first generation prototype. Sure, it will be sold as a finished product, but Glass is really a stepping stone technology to much less overt technologies capable of doing much more. One would assume that eventually the Glass experience will be shrunk down into a contact lens format, and then likely even smaller after that. We’ve officially set sail to a new land of trans-humanistic ideals, where it may become completely commonplace to be able to count cards because everyone has some sort of visually-assisted computational functionality to their technological augmentation. What will happen to casinos if and when we reach that point? The era of being more-or-less at the mercy of the House may be coming to an end, and gamblers may find themselves on a more even footing with casinos as we move forward into the future of high tech gaming. Or, gaming may need to evolve to keep up with this edge by introducing games with much more complex math. Or, we may find that casinos turn into relatively “low tech” areas for those seeking admittance. In other words, you may have to deactivate or otherwise remove all “assistive” devices that you have on you if you want to enter into a casino. In the case of the latter scenario, will people still entertain such restrictions, or will they simply abandon the traditional casino experience in favor of something else? After all, why would anyone willingly choose to play somewhere that takes away their ability to win? Caesar’s Palace and likeminded casinos are entering into a precarious dance with emerging cultural trends that could easily see them misstep and fall out of favor and relevance. The opinion and respect of the masses of people that throw some money down on casino gaming tables every year is something that matters to casinos—something that matters a lot. When it comes to the legality of new technologies like Google Glass and others, the public will surely be watching communications technologies policies very carefully, and of course recording where it is legal to do so.